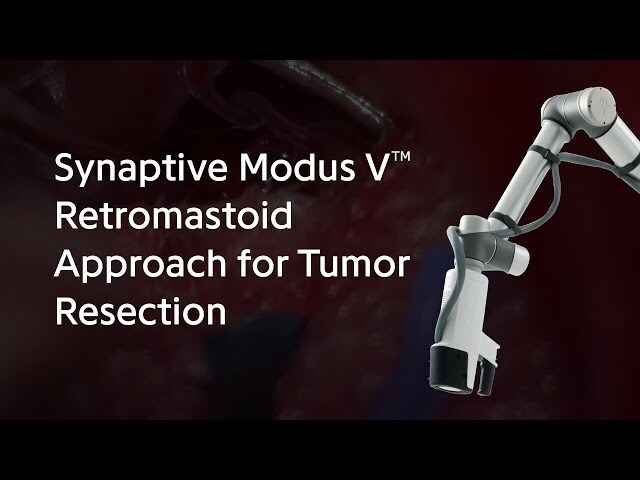 Modus V™ is a fully-automated, hands-free, robotically-controlled digital microscope with advanced visualization that supports a wide range of surgical approaches and workflows. 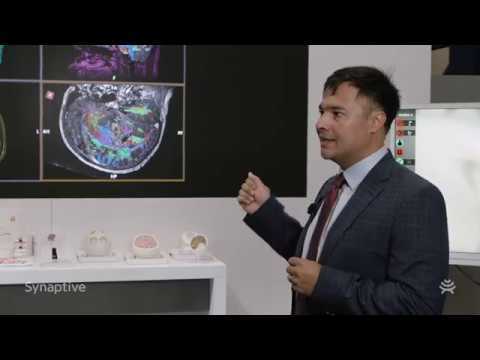 You can operate comfortably and efficiently because the robotic arm, driven by tracked instrumentation, automatically maneuvers the digital microscope to desired viewing angles. 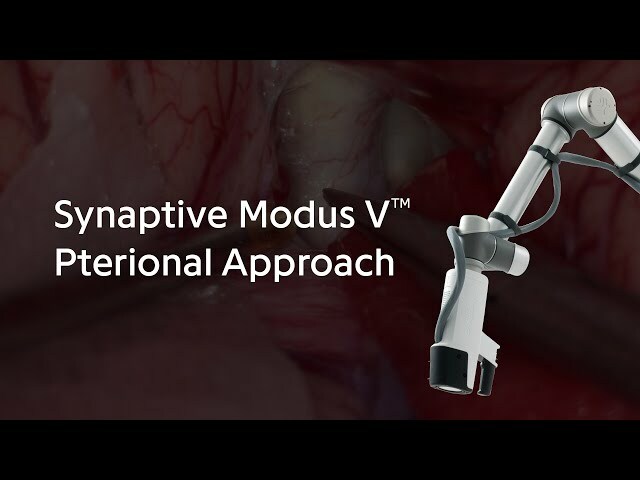 With an optimal standoff distance and a minimal profile in the operative field, Modus V™ offers a large working area. Its enhanced optics, which include a larger field of view, a higher depth of field and more natural color reproduction, ensure that you have a clear view of critical anatomical structures at all times. 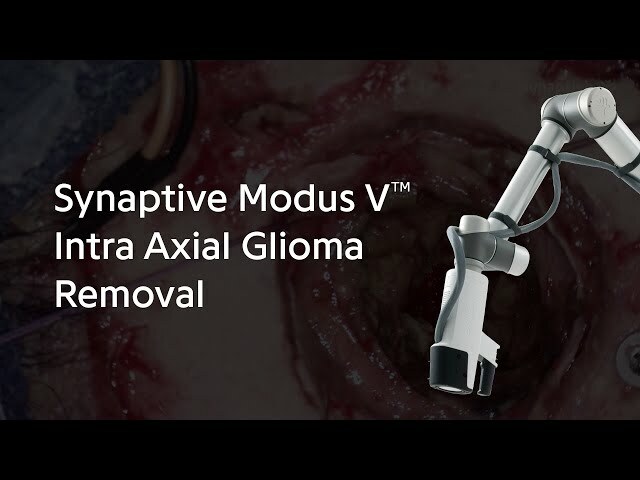 To see surgical video of Modus V in action, visit our channel on YouTube. 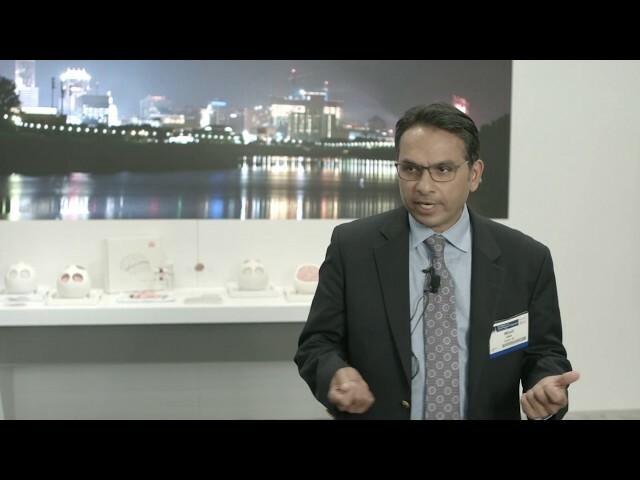 Dr. Mitesh Shah from Goodman Campbell Brain and Spine speaks about the clinical use of Synaptive technology, including the robotic digital microscope, Modus V.
Dr. Constantinos Hadjipanayis from Mount Sinai Health Systems in New York City speaks about the clinical use of Synaptive technology, including the robotic digital microscope, Modus V, as well as the automatic tractography tool, BrightMatter Plan.